The extra-curricular activities on offer are diverse and dynamic; the aim being to offer the children the opportunity to learn new skills for life and discover new hobbies and interests – as well as to pursue existing ones. The activity programme is split into two categories. An afternoon activity programme takes place on Wednesday and Saturday afternoons; its purpose is to provide a range of alternative activities for those who opt not to be in team sports. The evening activity programme for Year 5 and upwards takes place on Monday, Thursday and Friday evenings. Junior House offers clubs on Monday, Tuesday, Thursday and Friday evenings. The majority of these activities take place from 4.15pm to 5.00pm for Junior House and from 5.00pm to 6.00pm for Middle and Upper School. There are also some activities which take place after boarders’ tea from 6.30pm to 7.30pm. 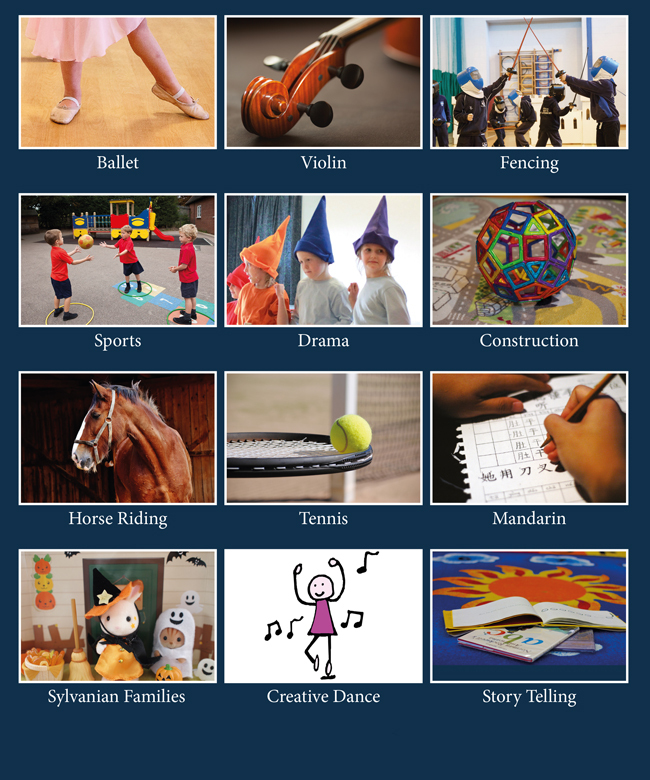 A diverse range of after school activities are on offer to all year groups including the Pre-Prep; ballet, horse riding and trampolining. Most clubs that form the evening activity programme are run by the staff at Junior King’s but we also employ some external coaches, making full use of the expertise at The King’s School. We are very proud of our extra-curricular programme for the children in the Pre-Prep. 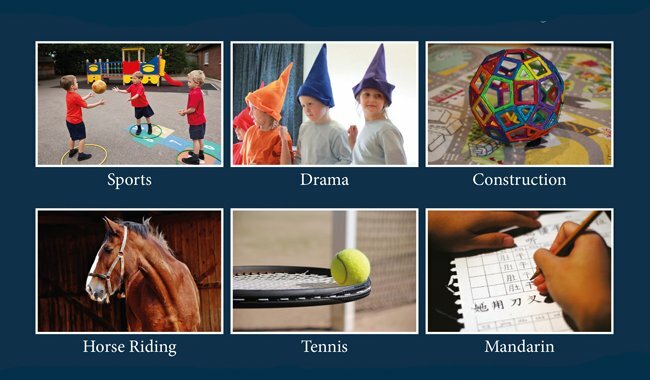 The school day ends at 3.30pm (3.00pm on Wednesdays) which is when our next phase of provision begins, offering a wide range of activities from fencing to pony riding!